1. Each state was to designate a certain number of wise men, titled Electors, to nominate the best possible candidates for president. 2. Candidate selection was accomplished by counting the nominations; the five highest were the field of candidates. If a majority of the Electors nominated a particular individual, he would be named President, bypassing the deciding vote of the House of Representatives. 3. The House of Representatives would choose the President from among up to five individuals who received the highest number of nominations by the Electors with each state casting one vote. 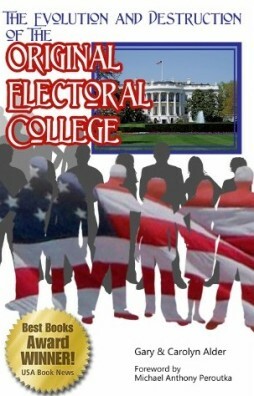 A detailed explanation of the original Electoral College System will be done in terms of each of these separate phases. Please try to block out perceptions of how the system currently works. The current system will be described later in contrast to the original intent of the Framers. We first must understand the original design so that it can serve as our baseline.